Ealing Cleaning Company offers highly trained professional commercial / office cleaners and professional domestic / house cleaners anywhere in London at affordable rates seven days a week. All of our cleaners are vetted, discreet, and highly accomplished at providing a five-star cleaning service every time. Our highly trained, discreet and utterly reliable commercial cleaners cater for all your office cleaning needs, including workplace hygiene and health and safety. Our professional office cleaners can come on a weekly or fortnightly basis or for a one-off job anywhere in London. They are available seven days a week. Our team of highly trained professional house cleaners can take care of all your domestic cleaning needs – from dusting and polishing to laundry and vacuuming. They are available seven days a week, anywhere in London. Our cleaners are thoroughly vetted, fully qualified and highly trained office cleaners. They also offer you high quality end of tenancy cleaning services. 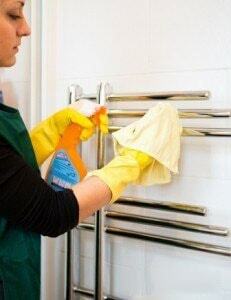 Talk to us now and enjoy competitive rates on our reliable domestic cleaning London service. Call us now on 020 3389 8881.